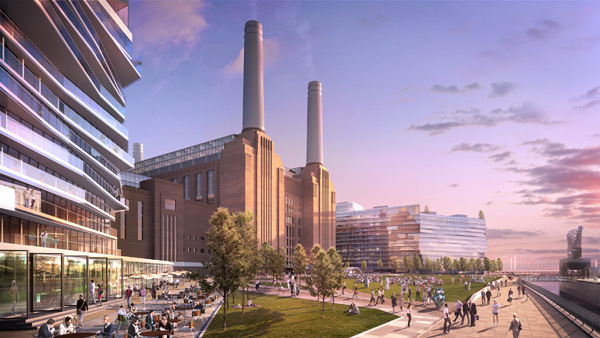 According to a source in English Heritage, the Malaysian consortium (Sime Darby, SP Setia and Employees Provident Fund) who have agreed to buy Battersea Power Station have not actually signed the contract – so it is not too late to change their minds. A recent announcement of a predicted 30% fall in the London property prices is just one of the reasons why the consortium and it’s shareholders may want to think again. Reading the Asian press, it doesn’t seem like the consortium, or at least their shareholders, actually realise the costs, limitations and responsibilities involved in buying a grade II listed building. Press release articles surrounding the sale refer vaguely to ‘possible preservation‘ of the power station, with talk of merely ‘motivator profit‘ and also of the potential of a ‘400m river front‘ that seems to completely ignore the power station itself, and indeed the smelly waste disposal unit situated directly on the river front in question. 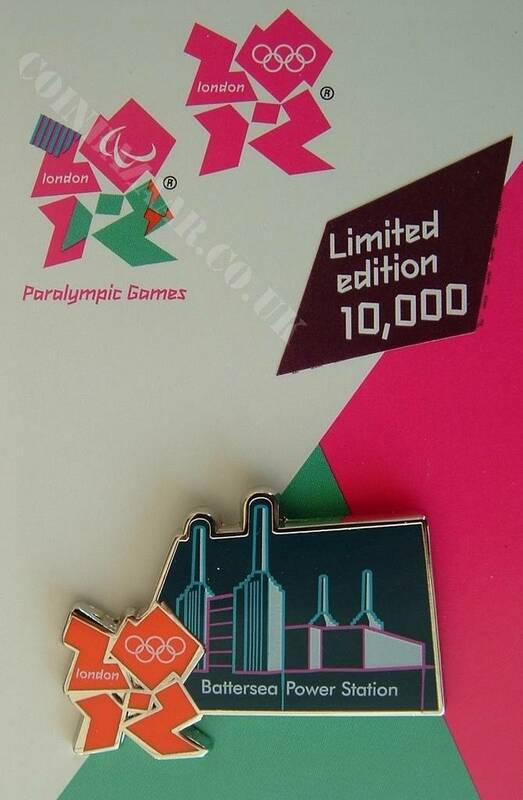 The power station features heavily in London’s iconography, recently throughout the London 2012 Olympics with James Bond and Her Majesty taking a flight over it in the Opening Ceremony, and also it features as one of the ‘London Landmarks’ . Hopefully this renewed pride of Londoners will force English Heritage to awake from it’s slumber and move into action insisting on repairs to Battersea Power Station, which could potentially be extremely expensive. Nick Cuff, chairman of Planning at Wandsworth Borough Council spoke at the Future of Battersea event (Southbank University, 26th July), claiming that the Northern Line extension would probably not be funded by the developer but by central Government as part of its infrastructure investment programme. Interestingly, the major reason cited by REO (the previous developers) for having significantly less than the required 50% affordable housing was precisely because they were having to contribute to the tube line extension. So SP Setia and Sime Darby need to factor in the 50% affordable housing into their new development plans. It has also been reported that the consortium will adopt the Vinoly plan, but this does not seem to make sense. Why would they take on such an implausible and previously failed scheme? The greedy and expensive Vinoly plan justified being so densely developed in order to recoup the costs of transport infrastructure – so that too can be challenged if the taxpayer is expected to foot the Northern Line extension costs. So despite the attempts by Wandsworth Borough Council to present the change of ownership as a seamless continuation of the old Battersea Power Station development started by REO in fact everything is up for grabs again. The new owners and their share holders could find themselves with a completely unviable scheme and a PR disaster. Crassly developing or neglecting this much loved building could result in the new owners being the most despised developers in London. Its not too late for the consortium to change their mind. Their share holders should be asking- do they know what they have let themselves in for? Keith Garner has written the letter below on behalf of the Battersea Power Station Community Group (BPSCG) to English Heritage. It outlines their proposal to purchase the monumental building for £1 and then their community driven plans for the future of the station. Thank you for calling me last week to discuss Battersea Power Station following our recent letter to Kay Andrews asking her for a meeting. It was good to hear from you again of course, but I was disappointed to hear that Kay Andrews is not able to see us, and that English Heritage does not think it has a role to play in resolving this long-standing issue at this time. As has been EH’s policy in recent times, you are leaving it to others to come up with solutions. Our most recent initiative – one of many over the last 29 years – was to propose to the administrators to divide Battersea Power Station itself from the South Lambeth Goods Yard site (acquired by John Broome), placing the former in a trust with an endowment, and selling the latter to pay the creditors. The Battersea Power Station Company – a charitable trust we set up in 2002 – offered £1 to take over the building and to open it to the public in the short term. We discussed this last week when you agreed that this sounded like a plausible approach. Other organisations have also been active in bringing forward initiatives. In April, the Twentieth Century Society organised a symposium to discuss the future of the building. One of the key points of consensus to emerge was desirably of some form of trust ownership, which prompted us to make our bid. Other than the Survey of London personnel, I don’t think English Heritage was represented at the symposium. This was unfortunate, as you would also have seen a very interesting scheme for the building and surrounding area put forward by Marcus Binney of SAVE and Graham Morrison of Allies & Morrison. The scheme develops ideas in SAVE’s 1981 report (which Graham Morrison also worked on) proposing an amphitheatre in the central boiler house space. This would be unroofed initially using temporary seating similar to that proposed for Olympic events, e.g. 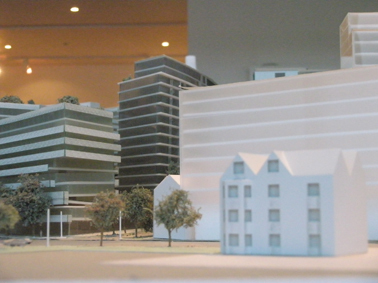 A&M’s scheme for Greenwich Park. Longer term, the intention would be to roof the space (an unroofed space would not be a good neighbour in the longer term) and to re-inhabit other parts of the building. Meanwhile the development of the surrounding site would commence. We also feel that the SAVE/Allies & Morrison scheme is consistent with our proposal to divide the two sites, with the Power Station put into a trust. Indeed, the SAVE/Allies & Morrison scheme might be facilitated if this was done. There is a strong commercial case for SP Setia to put the Power Station into a trust. As a predominantly public building it becomes a “draw” raising the profile of the adjacent commercial site. But at the same time, SP Setia would not be responsible for looking after the building or making it work commercially. Much of the inflated price of £400m is predicated on having to pay for the “restoration” of the building. This in turn will lead to the over-development of the surrounding site; as we have already seen with the widely condemned Vinoly outline permission. If the obligation to look after the listed building is taken away from SP Setia, then perhaps some height reductions can be negotiated, to the scale A&M propose? Some funding could plausibly come from the HLF instead, the popular Battersea Power Station being a worthy recipient of public money. There is a further question you should take up with central government, namely the financing of the Northern Line extension. Battersea Power Station Community Group is sceptical as to the necessity of this line, given the two overground stations, plentiful buses etc. But if it is to happen the new owners should not be expected to make a £200m contribution toward the cost of it. The public good here is the preservation of and public access to Battersea Power Station. The new owners should not be encumbered with the additional cost of funding a tube contribution as well. 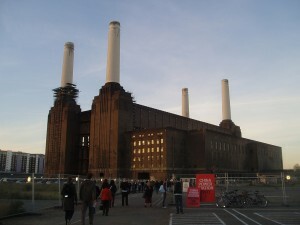 Surely then, this is an opportunity for English Heritage to influence the future of Battersea Power Station. But there is little time as only 28 days – the ‘due diligence’ period – has been allowed for negotiations. The building is still standing, another over-development has collapsed – as predicted – and the threat to demolish the chimneys is no longer imminent. And there are very positive and possible ideas to save Battersea Power Station as outlined above. With all these factors before us, now would seem to be a good time to meet. Architect Keith Garner, has written a letter to Architect Journal according to the Battersea Power Station developments. ” You say in your editorial (10th May 2012) that the suggested move by Chelsea FC is a “the most thrilling and plausible vision” put forward for the building to date. You also criticise deputy mayor Eddie Lister for opposing the move. It is true that, in his time as Leader of Wandsworth Council, Eddie Lister presided over three failed schemes for Battersea Power Station. But in opposing the move by Chelsea, Eddie Lister is right. Lack of infrastructure cited by Lister is one of many reasons why this scheme won’t work. Sketches by KPF that you also publish show that he stadium will take up space currently occupied by the Cringle Street refuse transfer station. Where will the transfer station go? Nor do you mention the new US Embassy would be overshadowed by the Russian oligarch’s stadium. Surely the State Department will have something to say about that? Far from maintaining the integrity of the II* listed building as you suggest, KPF’s sketches show that the ‘B’ Station turbine hall would be demolished, so the essential symmetry of the building would be lost. Still worse is the idea of grafting a 60,000 seat stadium onto the side of a building which is (currently) famous as a solitary urban monument. This is an unviable and unattractive scheme that would condemn Battersea Power Station to years of further neglect while Ambramovich & his team try to make it work. It does the AJ no credit to support it. 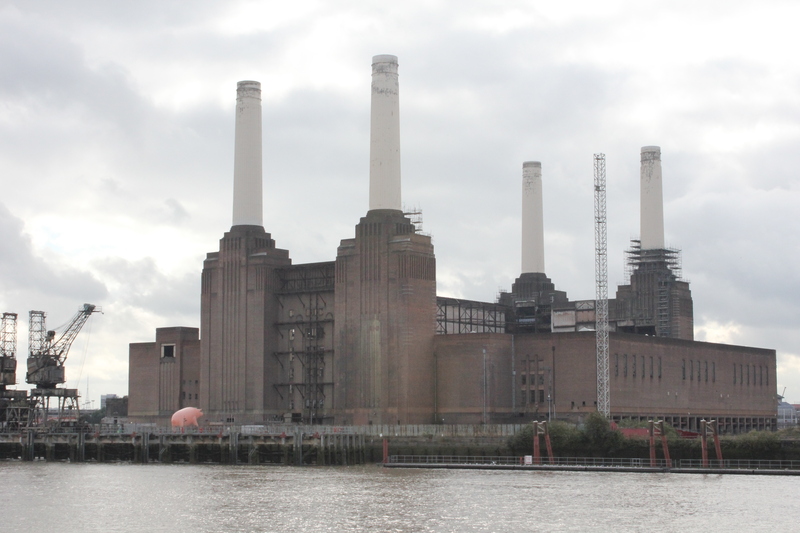 Fortunately the question of Battersea Power Station was given a more sober assessment at the recent Twentieth Century Society seminar, which was timed to coincide with the sale of the building following the collapse of the scheme by the previous owner Treasury Holdings. One of the key points to emerge from the meeting was that the building should be passed to a public interest trust, with an endowment to fund repairs. In pursuit of this objective, the Battersea Power Station Company (a development trust set up by Battersea Power Station Community Group) has offered £1.00 for the freehold of the building by sale deadline. The remainder of the site (the former South Lambeth Goods Yard site to the south, not historically a part of the Power Station) would be sold to raise the money owed to the creditor banks and give an endowment to the trust. 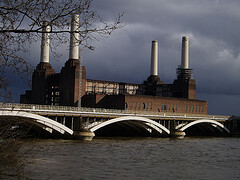 By this route, Battersea Power Station could be opened in the short term as a “controlled ruin” in a public park with a riverside walk to Battersea Park. The building could then be repaired and brought back into used in a sensible phased refurbishment as funds permit. Meanwhile commercial development could proceed on the flat land to the south unencumbered by the task of making a profit from the listed building itself. “Investment and vision”, as you say. Well, state-controlled Lloyds Bank is one of the two main creditors and could retain a stake in the project. Now it is time for the GLA, Wandsworth Council and English Heritage – who have all sat on their hands while the building has deteriorated – to get around the table with administrators Ernst & Young to make this desirable outcome a reality. Football-orientated-eyes from all over the world were focused on Chelsea during the weekend of May 19th 2012. The London football club became world champions after the Champions League final against Bayern München. After a breath taking penalty session, Chelsea won and became officially the best football club worldwide. This has put London and their famous club owned by one of the richests men on earth in a global spotlight. Just in times when the club is exploring new possibilities for a powerful new stadium. Two weeks ago the football club was already in the news about the submitted bid to buy Battersea Power Station to transform it into a new stadium for the blue team. The Battersea Power Station. 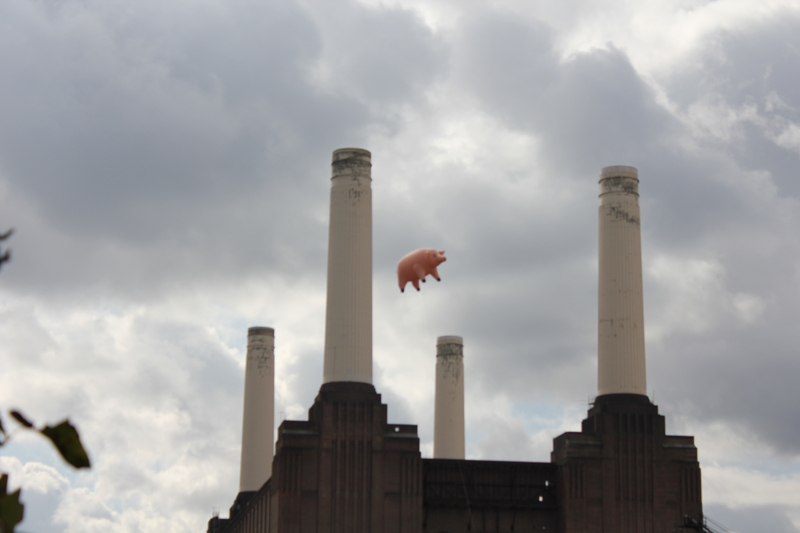 Once the scenery of Pink Floyd’s ‘Animals‘ album including the event of a disturbing and trouble making pig flying around London. Now this might going to be the scenery of football supporters running and cheering around Battersea? Well, eventuality the people who own billion’s can own any power, including a power station. On the evening of the FA Cup final against Liverpool (4th of May 2012), Chelsea confirmed the existence of a bid on Battersea. Roman Abramovich’s showed his interest in the decommissioned power station with plans to build his own 60.000 seats stadium. For the symbolic price of ￡1 and the promise to renovate all the chimneys he might turns this icon of London into his icon of power. It looks a bit like an attempt of Abramovich to become Britian’s next biggest property owner. Just when the world thought he was already creating the biggest venue (read: his home) ever. An 150 million place, which combines 9 different apartments into one incredibly huge house for the Abromovich family. Abramovich is currently the 68th richest person in the world, according to the 2012 Forbes list, with an estimated fortune of $12.1 B. Will Abramovich become the owner of the Battersea Power Station? Besides the fact that there is an helicopter landing strip very close to Battersea, which is very useful for Abramovich (unfortunately his own private Boeing can not land there, which is a bit inconvenient, but his yacht with paparazzi reflecting lasers can be parked outside in the Themes). There need to be plans made for transporting all the football supporters during the sports events. Is Abramovich really turning The Power Station into a stadium? And if he turns it into a stadium, how are all the supporters arriving there? There is a lack of infrastructure at the moment, which is common knowledge. Updates will follow as soon.